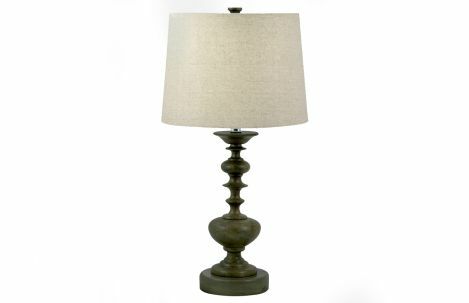 Table lamp has solid wood with turning detail body in matte finish with a linen shade. Available in the color shown. 100 watts, 8 foot brown cord.